More than 100,000 people have been displaced by flooding in six of South Sudan's 10 states, and with the rain still coming down, the numbers are expected to rise, relief officials said Wednesday. The United Nations Office for the Coordination of Humanitarian Affairs (OCHA) said flooding has displaced people in andnbsp;Warrap, Unity, Upper Nile, Northern and Western Bahr el Ghazal, and Jonglei states. Warrap state is the worst hit with more than 43,000 people impacted by the flooding, nearly half of them in Twic county, National Relief and Rehabilitation Commission Chairman Peter Lam Both said. 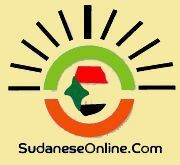 In Jonglei state, more than 30,000 people were forced to flee their homes, acting governor Gabriel Gai Riam said. “We have evacuated the affected persons or communities to high ground, and some of them to schools," he said, adding that emergency crews have been called in to dig tunnels to channel water away from people's dwelling places. Emergency workers have been able to reach only about 800 of the families in Warrap with emergency shelters, food and water purification tablets, and have distributed some 41,000 doses of anti-malaria drugs in anticipation of a spike in the number of cases of the disease, which is transmitted by mosquitos hatched in stagnant water, officials said.